Our Company Started at January 1984 in Jalandhar City Punjab,India.Modern Rubber and Allied Industry Stives to Understand and Fullfill needs of all our Customer by Providing the Highest Level of reliability and Service at all times.We are into manufacturing of Balata packing & other Rubber Products like Transmission Rubber Belts, Body Belts Etc.We have Experience of 25 years.The Sale is being done Throughout all the indian states.Modern with a sale experience of 25 years in T.R.belting is one of the Leading Manufacturing unit India. Way back in 1984 , we friends sat together & thought of an idea to manufacture such an item which can be of diverse use both industrially as well as agriculturally. Thus an idea to start manufacturing transmission Belting came into there mind & immediately firmed under the name & style of modern rubber & allied industry was started in the industrial hub town of Jalandhar city. 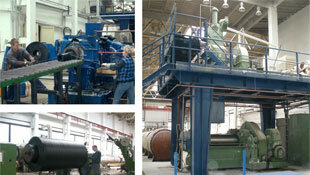 We have experience of 25 years. The sale is being done throughout all the Indian states. Modern with a sales experience of 25 years in T.R. Belting is one of the leading manufacturing unit in India. The Total development of company is through the computers. The data & Programs of Company are developed on new Machines, Which are operated by the computer, to make our product perfect & troublefree. 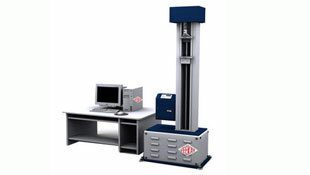 Tensile Tester is an electrically operated machine for testing tensile strength & elongation in our modern laboratory which is supervised by our highly trained technologist. In our fully equipped laboratory, first the canvas main material used in T.R.Belts is thoroughly tested before it in used & then the samples of finished T.R.Belting are tested before these are shipped. Flat transmission belting should be stored in a cool, dry and well ventilated room. No loose materials like small tools nuts and bolts should be allowed to remain lying near the belts.